There has been a strong effort to improve the soil in Iowa. Iowa has a nutrient reduction strategy in place. 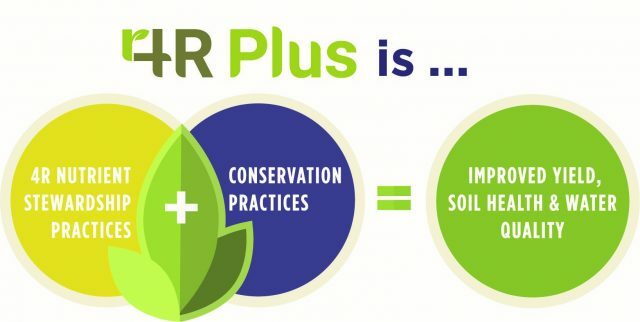 4R Plus is showing producers a whole host of options to manage their nutrients. The corn and soybean growers are also on board. There is plenty of information out there. As time has gone on, we have seen more support for better soil health from many of the commodity groups on the state and national levels. Stu Swanson, District 2 Director of the Iowa Corn Growers Association explains. Swanson says farmers may be slow to join into the nutrient reduction practices. This isn’t because they are not supportive of soil health, but because they only have one chance to get it right each year. Producers want to be confident in the practices they employ. Swanson says soil sampling goes a long way to help. Swanson says the nutrient reduction plans can’t anticipate years like 2018, but they are making it easier to navigate through times of excessive weather events. Swanson says more producers are looking into their nutrient reduction options.